In the days that followed historical hurricanes Harvey and Irma that devastated Houston and Florida, the Shell-Pennzoil team responded in a quick and powerful fashion. They started by relinquishing the traditional red and yellow paint scheme for a Red Cross-inspired look at the Monster Energy NASCAR Cup Series regular season finale at Richmond Raceway on September 9th, in hopes to draw more attention to the needs of the people affected by these historic natural disasters. Shell continued their support to the American Red Cross with an initial contribution of $1 million to the Hurricane Harvey disaster relief fund. 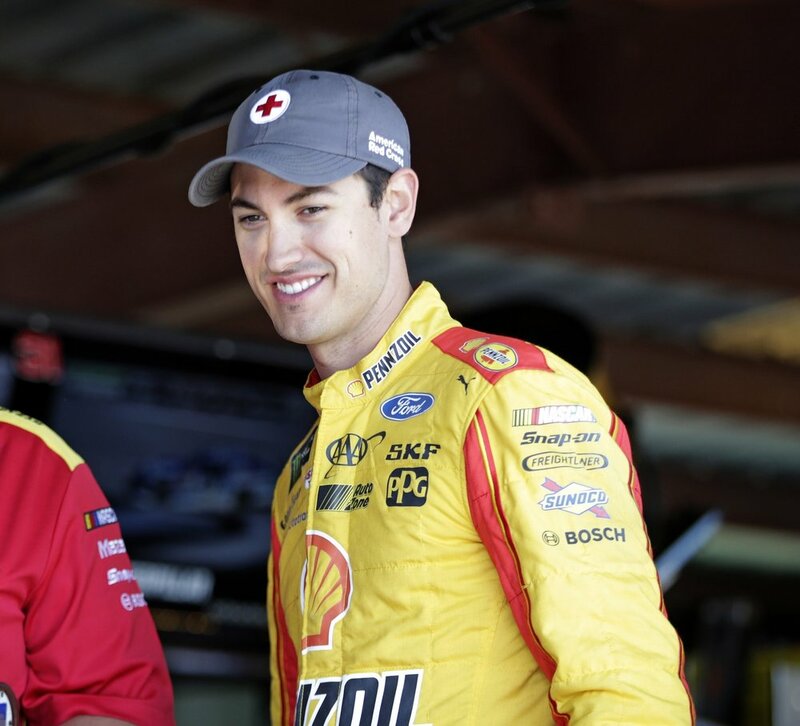 Shell-Pennzoil NASCAR driver Joey Logano announced the following day that he would also donate $25,000 to the American Red Cross and would open a donation portal through his Joey Logano Foundation that would collect funds for Hurricane Harvey disaster relief. Joey Logano addresses Shell and Pennzoil employees. Shortly after Hurricane Harvey hit, Hurricane Irma landed in Florida. While both of these historic hurricanes were happening, the Red Cross was getting supplies and trained workers in place to support multiple sheltering and relief efforts.. This made the reach and support from Shell, Team Penske, NASCAR and Joey Logano even more important. Ahead of the Throwback Race in Darlington, the American Red Cross was featured on the TV panel of the #22 car, and the entire team was sporting American Red Cross hats. This support continued into the following weekend at Richmond with the full paint scheme and Joey Logano rallying support through his many appearances and interviews. 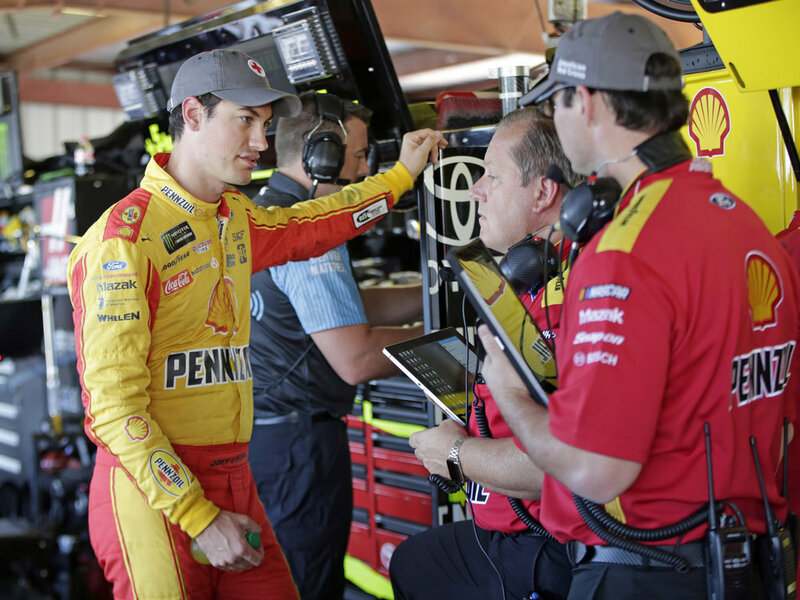 The Shell-Pennzoil team's efforts took hold in the sport, and saw other drivers and personalities contributing throughout the month. Join @joeylogano, the @JoeyLoganoFDN and @Shell as they send #HelpforHouston. Across the community and beyond, the story of how Shell leveraged its primary sponsorship in a unique way to help spread quickly. Browse the influential companies below, and click on each one to read their coverage of the story. We've partnered with @joeylogano to help with hurricane relief efforts. "The American Red Cross is using donor dollars right now to provide shelter, food, comfort and emergency support for individuals and families affected by Harvey and Irma. And our work is just beginning—we will use financial donations to help people recover and get back on their feet in the challenging weeks and months ahead. The Red Cross honors donor intent and all donations earmarked for Hurricane Harvey [or Hurricane Irma] will be used for our work to support this disaster. Americans work hard for their money, and we’re committed to being the very best stewards of our donor’s dollars. The Red Cross keeps our expenses low, and 91 cents of every dollar we spend for this disaster will go to help people affected by Hurricane Harvey [or Hurricane Irma]."